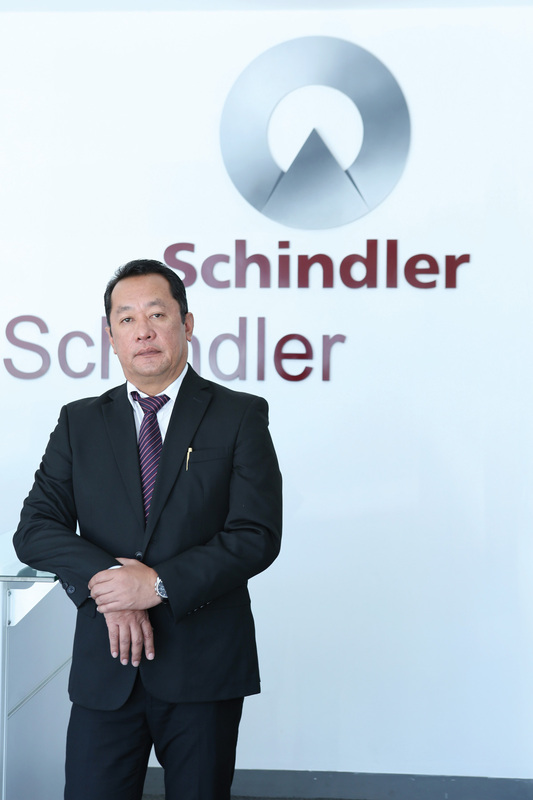 Jardine Schindler Elevator Corporation is taking a big step forward in the Philippines as it focuses on becoming a one-stop solutions provider. Jardine Schindler Elevator Corporation has been safely moving people and products with its world-class elevators and escalators for more than fifty years. 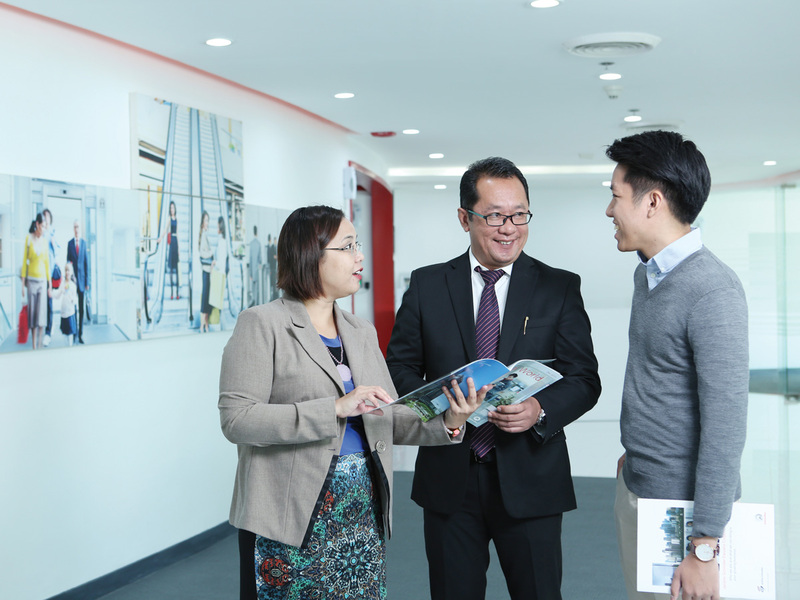 The business began when Swiss-born Schindler Group joined forces with Hong Kong’s Jardine Matheson, which resulted in a dynamic synergy of business management expertise, regional specialisation, and engineering excellence. Today its Filipino operations has six strategic offices — located in Manila, Baguio, Cebu, Angeles, Iloilo, and Davao — to serve the needs of a variety of businesses. It is continuing to go from strength to strength with Jess Palma III at the helm. Jess is the General Manager of Jardine Schindler Group’s operations in the Philippines, a role he has held for the past year and a half. A chartered accountant by trade, he started his career in the cement industry with the wholesaler Holcim, which at the time was the biggest player in the world. After three years as the Finance Director, Jess was appointed to General Manager of Jardine Schindler in the Philippines. That was in March 2015, and from there he went about improving the clientele’s perception of the company and growing its operations. “When I initially joined in 2010 the organisation was not in the best position,” Jess says. Jess says he wants his customers to be worry-free when they come to a Jardine Schindler branch for a product or service, starting from the design right through to the installation and maintenance of an elevator or escalator. Now Jess’ main area of focus is to protect customer excellence and expand further within the region. “Customer excellence is a very big issue in this industry, considering an elevator or escalator is a very personal product for our customers,” he explains. “Our products are always being decided by the owners of the buildings, not by everybody, so for us to have a very strong focus on customer excellence is a big differentiator. That is how we stand out from our competition. To monitor customer excellence we have a survey process — we follow the Net Promoter Score — and we ensure we have constant feedback from customers. If there are some complaints or areas for improvement, we make sure this is embedded into our own system. The ultimate goal for Jardine Schindler is to become the best one-stop elevator solutions provider, and it is certainly on track to achieving that. Jess says he wants his customers to be worry-free when they come to a Jardine Schindler branch for a product or service, starting from the design right through to the installation and maintenance of an elevator or escalator. Jess knows Jardine Schindler relies on the support of a talented workforce as well as efficient, loyal supply-chain partners. To ensure this, the business invests heavily in the training and development of its staff; to grow and improve their skills so they can deliver more to the customer in the safest possible manner. The business has also set up a training centre and its master trainers have a broad knowledge based on what they have learned from their global counterparts within the Jardine Schindler Group. The technicians undergo a certification program that must be completed within twelve months, and the after-market team undergoes four levels of certification and assessment that is completed periodically. Customers can talk directly to us and we can provide them with everything they need. That makes life easier. In terms of future capacity planning, Jardine Schindler has also partnered with Don Basco Technical Institute, the biggest school of its kind in the country, to deliver an apprenticeship program. This will ensure a continuous pipeline of skilled people and will help to grow the business now and in the future. 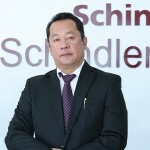 Jess says he is proud to be at the helm of Jardine Schindler in the Philippines; to be delivering value to shareholders and to be playing a role in the company’s growth.